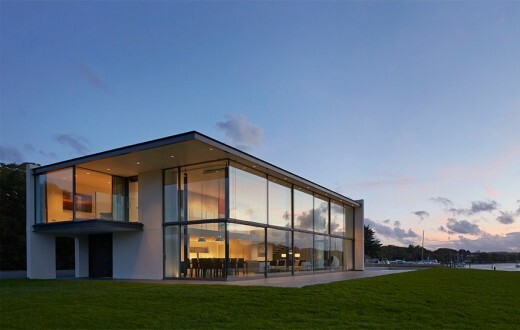 A stunning family home was recently completed on the south coast of the Isle of Wight as part of Channel 4’s programme ‘Grand Designs’, designed by architect Lincoln Miles. After a near-death experience, Bram and Lisa Vis decided to take life by the horns and build a unique large family home for themselves, family and friends. With floor to ceiling windows looking out to sea and features including a snug, a games room and roof terrace with a swimming pool, the family home is the epitome of the best-of-the-best. 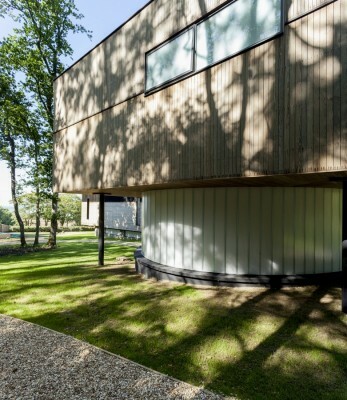 Having been inspired by nature, international modernism and the open plan simplicity of the Farnsworth House by Mies van der Rohe, the new build is clad with Kebony wood which brings to the Grand Design the camouflage, beauty and quality which was so desired. Having started the project in March 2013, the new family home is now complete. The Isle of Wight is renowned for its 1950s conservative style of housing, everything that this Grand Design was not planned to be. 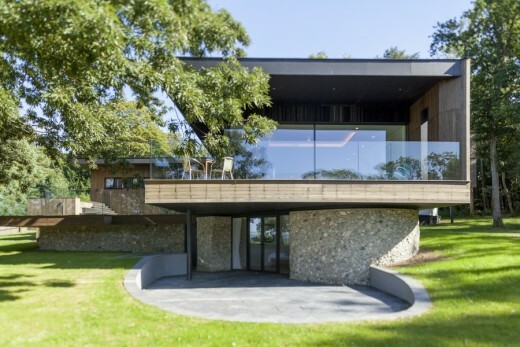 Therefore, the 9,000 sq ft home was renovated to blend seamlessly with the ancient woodland and beaches which surrounded the property. Innovative, modern and striking cladding was therefore an important aspect of the design. 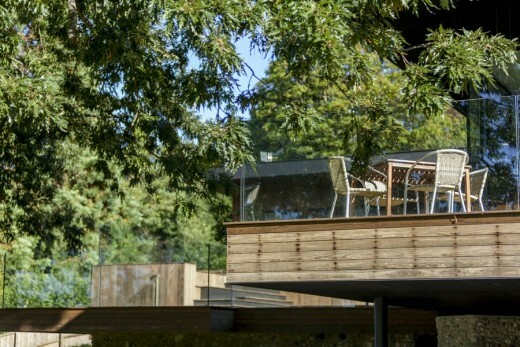 To reflect the natural surroundings of the trees and skyline large panes of glass were used. Pebble dashing, sourced from a local beach, was used on the lower walls to give the house a more natural look and feel. Black stacked-paper cladding was also used to create a shadow-effect around the build. Finally, Kebony wood was used in order to further emphasise the natural and organic aspects of the design. For this particular project, Kebony beams of maple and pine wood are cooked with alcohol and pressure, turning their soft wood properties into a hard wood. The result is a beautiful and maintenance-free finish. 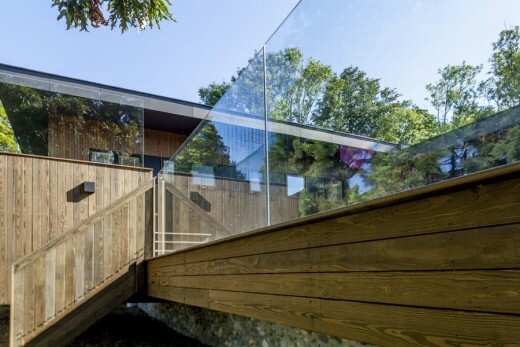 Overall, the innovative cladding breaks up the house against the natural setting. Developed in Norway, the Kebony technology is an environmentally friendly process, which enhances the properties of sustainable softwood species, such as clear and character grade pines, with a bio-based liquid. The process permanently modifies the wood cell walls giving Kebony premium hardwood characteristics which make it suitable for interior and exterior applications.